Business owners in Mobile’s downtown entertainment district met with police and city officials Tuesday afternoon to discuss ways of making the area safer following two shootings that were reported over the weekend. 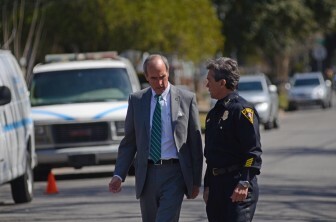 Mayor Sandy Stimpson and Police Chief James Barber. Currently, the Mobile Police Department and others in Mayor Sandy Stimpson’s administration are working to develop recommendations to the Mobile City Council. The council voted to recess its regular meeting on Tuesday in order to address the issue of public safety in downtown more specifically in smaller groups. They’re expected to vote on a recommendation from Mobile Police Chief James Barber at 8 a.m., Aug. 16, in Government Plaza. District 2 Councilman Levon Manzie sat in on the lengthy meeting, though he didn’t give local media much information about what was covered because Barber and his staff are still mulling over what approach they might use. 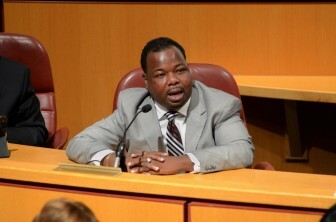 District 2 Mobile City Councilman Levon Manzie. “What we’re going to do is act on the recommendations that we receive from Chief Barber and his staff. They are assembled now working on those recommendations this evening,” Manzie said. Gregory Loughlin, who manages a bar in the entertainment district, said one thing that could help the situation is better enforcement of the laws already on the books — like those prohibiting non-member clubs from staying open past 2 a.m. or nightclubs that improperly admit underage patrons. 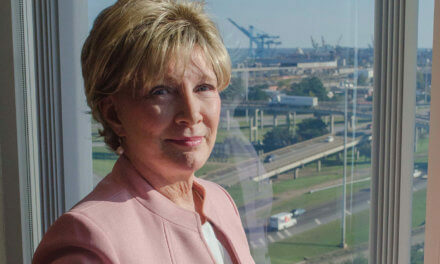 Carol Hunter, director of communications for the Downtown Mobile Alliance, said there was also broad support among business owners for changing the cutoff time for open containers in the entertainment district from 2 a.m. to 12 a.m.
Police officers are also considering increasing their presence downtown during late night and early morning hours. Following a shooting incident in July, the MPD has already stepped up its enforcement of other city ordinances, like the open container law and the “boom box” or noise ordinance. Last weekend, Loughlin said officers “did a good job” of preventing motorists from aimlessly “cruising” through parts of the entertain district. However, Loughlin said it will up to bar owners and managers to continue to work with police if the entertainment district is going to seeing positive changes. When asked if he thought the city’s plans to the address the issue would prove fruitful, Loughlin said he’s “always hopeful,” but said letting things continue as they are now would be bad for all of the businesses downtown.